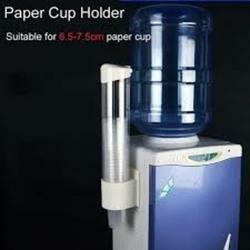 One-at-a-time Dispensing while preventing wastage. 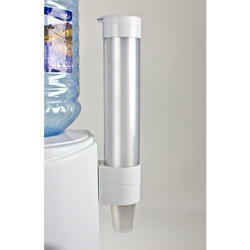 Hygenic Hinged lid keeps cups clean and allow for easy refilling. Stainless Steel prongs are firm enough for repeated cup pull. Maximum acceptable Cup Width - 80 mm. Holds cup of any volume. Holds 80 cups at a time. High-Impact transparent white ABS Plastic Construction. Looking for Glass Holder Dispenser ?